Anti Clog Cap: Keeps super glue from drying out. It's Gorilla Tough use after use. It's Gorilla tough, every time. Our Super Glue is reinforced with rubber for increased impact resistance to handle bumps and drops. We call it Impact-Tough® because the reliable bond stands up to wear and tear unlike any other instant glue. Super glue, also referred to as cyanoacrylate glue, or CA glue, works on a variety of materials, including plastic, metal, fabric, stone, ceramic, paper, rubber and more. 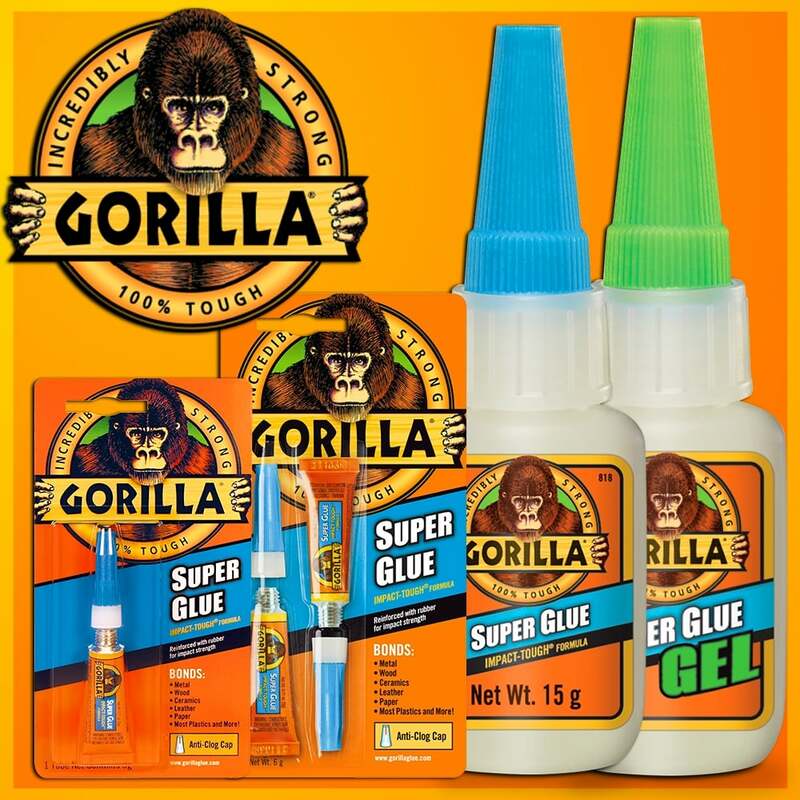 In addition to Gorilla Super Glue's high-performance cyanoacrylate formula, we've added an anti-clog cap with a metal pin inside ensuring an airtight seal for maximum reusability. It's Gorilla tough, every time.